Im talking about Cat Stevens, or Yusuf Islam as he goes by these days. The British singer songwriter turned Islamic warrior for peace has certainly had one of the strangest runs of any musician I have ever come across. After coming up quickly in the British music scene at the age of 18, he got knocked back to reality by a serious bout with tuberculous, and credits it with shifting his ideology and opening his eyes to the real importance of life. His songs got more introspective and in this period he wrote a lot of the songs that would make him the cult figure he is today. 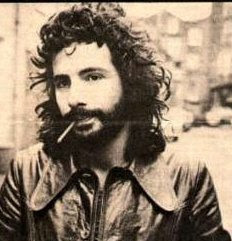 Cat Stevens is one of my personal favorite artists (yeah I know thats kinda embarrassing), Im all about his classic easy listening tunes; the ones filled with whispered wisdomisms and soulful croons. Great joints like Trouble, The Wind, Hard Headed Woman, and I Want to Live in a Wigwam (thats not a joke...its a jam). But this track aint those, not even close, this is more bubblegum pop than folk; but that doesnt make it bad. Contrarily, it may make it even better. To hear Cat Stevens playing as a youth before his stand against popular culture is a bright glimpse of ignorance's bliss. Here Comes My Baby is a classic pop hit, easy on the ears, long on the chorus, and catchy on the beat. Its the same tale of heartache that has echoed throughout the annals of music ever since people started singing or falling in love, one of the two. But rather than being discredited by these plastic qualities, instead it rises above them and shows that music can be great regardless of the style or subject. So please sit back and enjoy the uplifting pop stylings of the one and only Cat Stevens.